MOSCOW — Russia’s military is testing an array of new nuclear and other weapons, from a high-powered laser weapon system to a nuclear-powered cruise missile with “unlimited” range. The Defense Ministry made a string of announcements about progress on the weapons, unveiled in a speech by President Vladimir Putin in March. The ministry said it has tested the Burevestnik cruise missile on the ground and is now readying flight tests. Military officials said they are practicing use of the Peresvet high-powered laser weapon system, and launching trials of the Poseidon underwater nuclear drone. Russia’s Defense Ministry says it’s ready to boost cooperation with the U.S. military in Syria, following talks between U.S. President Donald Trump and Russian President Vladimir Putin. Putin has sought to flex Russia’s muscle amid tensions with the West. 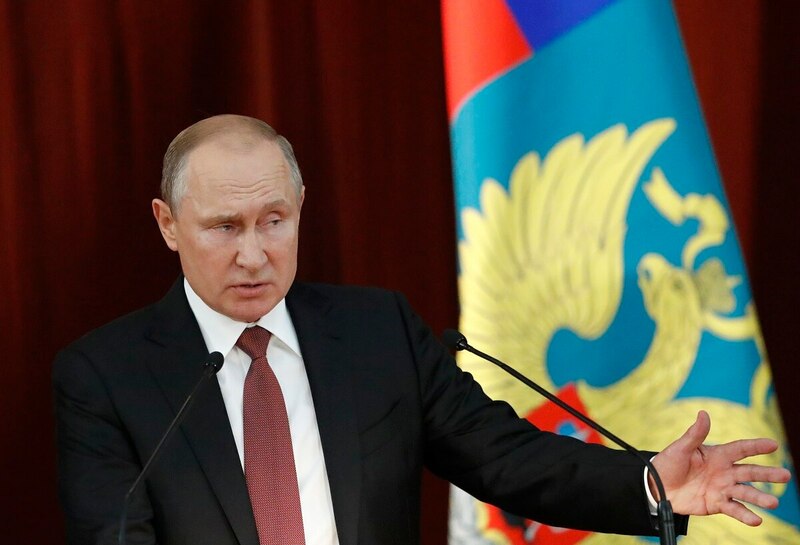 But Thursday’s announcements came as Putin stressed the need for talks with Washington on nuclear arms control treaties, after his summit this week with President Donald Trump.